Indy Savage is a former wild child (okay, maybe not so “former”) and current used bookstore owner. Lee Nightingale is a former bad boy and now runs a private investigation service. Toss together a quiet barista with a not-so-lawful side-business, a crazy Vietnam Vet, a pothead, a drag queen, family and friends who will not mind their own business, a few stun guns and a bag of diamonds, and mix them all up with some shootings, a high speed chase and car bombs exploding, then hang on for your first wild Rock Chick ride. Let me start by saying that I FLOVE Kristen Ashley’s books. I’ve been reading her books for the past 2 months, and I haven’t found 1 that I don’t like. Believe me when I say that her books are addictive (you don’t believe me? OK, suit yourself). Rock Chick is the first book in Rock Chick Series; there are 8 books in total. Since the moment I met Indy and Lee I’ve been hooked (and I ended up finishing this series in a month (7 of them, the 8th book is scheduled to be release in 2013)). Rock Chick is an all-out FUN book, it’s impossible not to love it. I mean, it’s about a smart, independent sassy heroine and her hot as hell badass extraordinaire hero getting together, how could you not love that? The story is about India “Indy” Savage and Liam “Lee” Nightingale. Indy is one of my favorite heroines. She’s a beautiful curvy redhead, used bookstore owner, a cop’s daughter, a good friend and a rock chick. In short, she’s awesome. Lee is a very mysterious guy (during the book we get lots of background on what he does, but he still has that edge about him. Which, in my opinion makes him even more yummy), hot, determined, bossy and did I mention hot? Indy has been in love with Lee since she was five years old. Lee is the older brother of Ally, Indy’s best friend. They are both daughters of cops and refer to themselves as Rock Chicks. As kids they made a pact that Indy would marry Lee so they could be real sisters. But unfortunately after years of attempts in seduction Lee makes it clear that he only see’s Indy as a sister, and nothing else, so she backs off. Then Lee went off to join the Army/Special Ops and went from bad boy to badass extraordinaire and now runs his own detective agency. Fast track to present day, Indy’s friend gets involved in some very shady business involving some illegally grown plants and million dollar diamonds, resulting in people shooting at them with guns and end up being helped out of the predicament by Lee… who of course uses this as the perfect stepping stone to finally get together with Indy and her days of avoiding Lee is about to end. This book is a romantic comedy that will leave you laughing all the way through the book. Kristen Ashley is genius with her characters. I LOVED everyone, from Tod & Stevie, the Kevster and of course Tex. I highly recommend this book. 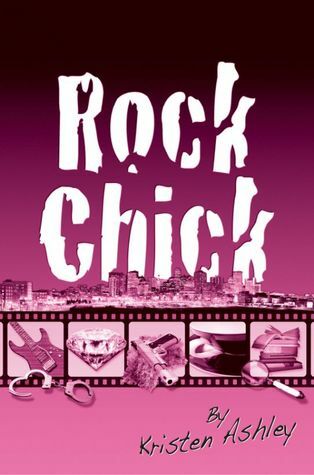 Well, I actually highly recommend all of Kristen Ashley’s books, but you should start with Rock Chick first.